There was a change of plan today, I had not intended to dig, but a change of venue late last night, made me change my mind. We had available a nice small field that always throws up some nice finds, not to me I hasten to add, but others are treated well by this field just outside a little village in Oxfordshire. On its own it is a nondescript little field, there is nothing outstanding about the soil, its position in the countryside, or its features, but things happened here in the past, this can be told by the finds that come up, gold, silver, bronze age, iron age, roman, Saxon, medieval, they have all spent time in this field for one reason or another. 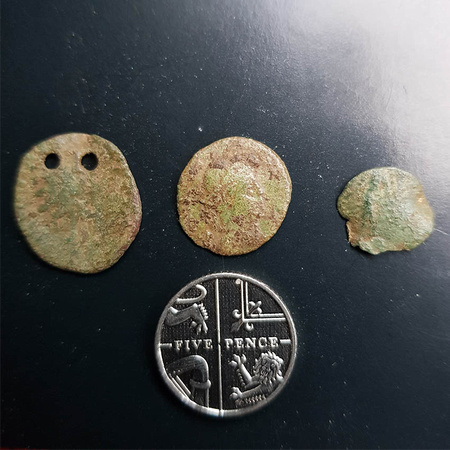 Today again some nice finds came out to a few lucky people, some of the people like me were happy to find a few small roman coins, one of which as you will see has two piercings, all three of my small coins were found with my Rutus Alter 71. But I also saw a nice silver roman siliqua, a small Saxon sceat, but best of all was this silver hawking verval, I am not sure who found it, but it was about 12mm in size and heading off for the treasure process. Last edited by Bargeman on Mon Jan 14, 2019 2:50 pm, edited 1 time in total. Some tiddlers you got there BM, good going knowing the soil in that field. 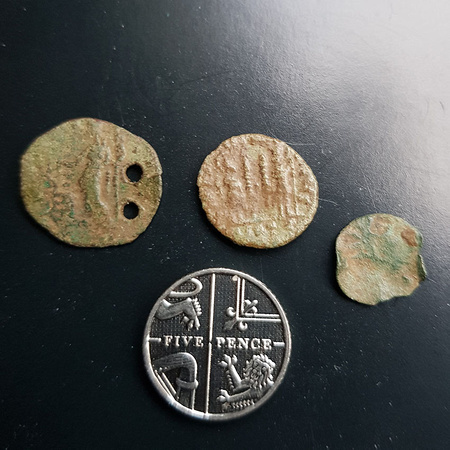 Good decision to go out after all, Kev I know a certain detectorist of our acquaintance is, shall we say, somewhat less than enthusiastic about Romans but I love em and am always glad to see them posted up. Interesting double piercing. 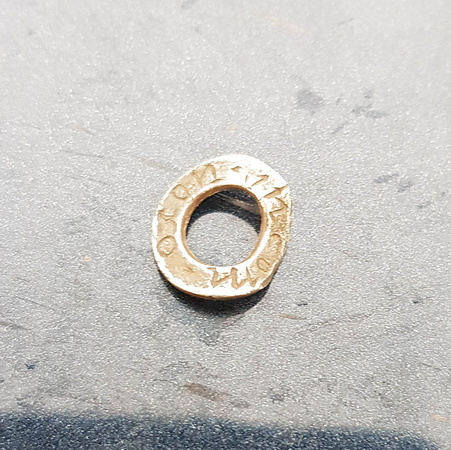 When I started out BM I was told by the seasoned detectorists that it was done in Saxon times, also the coin was pierced so the head face down towards your nether region as an insult. s. Walter, of Shepton Mallet, Somerset, sacerd. Magdalen Hall, matric. 3 July, 1635, aged 17; created D.Med. 16 Jan., 1642-3, and shortly after physician to the king at Oxford, travelling physician to Charles II., and physician in ordinary to the king while in exile and on the restoration, an original fellow of the Royal Society, hon. fellow College Physicians 1664, full fellow 1677, president 1689, 1690, 1691, retired to Jersey, thence to Nantwich, and finally returned to London, born at Shepton Mallet 2 Feb., 1619, died 24 April, 1707, aged 87. See Munk's Roll, i. 390; Ath. iv. 752; Hearne, ii. 17; & D.N.B. I love the pierced coin. I would always opt for Saxon as the coins appear on Saxon necklaces.